2. 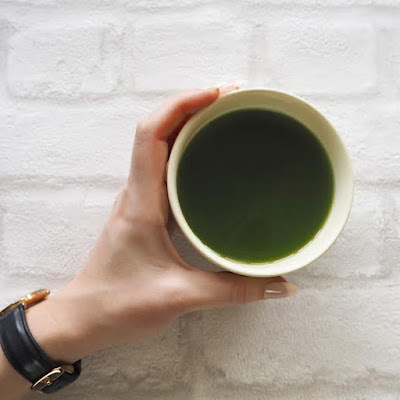 Latte Lovin - Contrary to popular believes, matcha hasn't got that same bitter taste that some green teas have, it's much more smooth and velvety, especially when some steamed milk has been added to the equation. 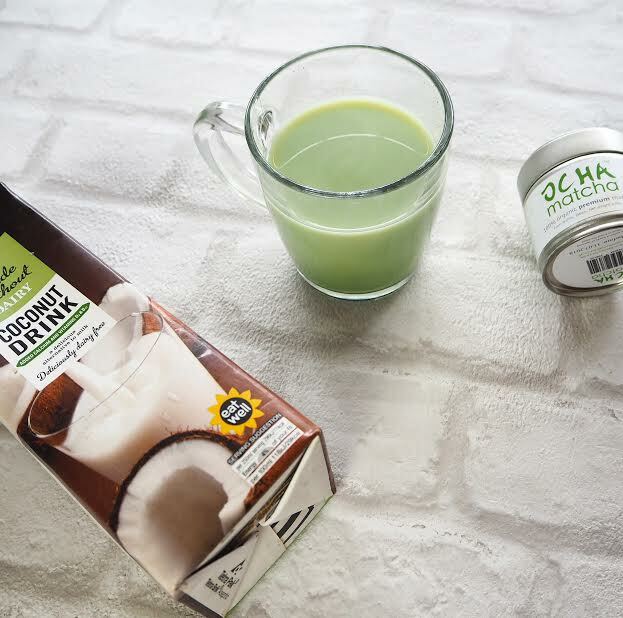 Grab your fave non-dairy milk, (my personal fave with matcha would be coconut as it's so rich and creamy) and heat a little up before adding. Or if you have a frothing machine (you little fancypants) you can use that to heat and froth your milk. We do have a little gadget that came with our Nespresso machine, I was just too lazy to dig it out of the cupboard! If you need to sweeten it slightly, add some honey or agave syrup to taste. 3. Ice Ice Baby - Because although those Iced Matcha's from Starbucks are hella tasty, they're also FULL of sugar! All you need for this one is some ice, a cocktail shaker (which I know my fellow alcoholics among you will possess) and a tall glass. 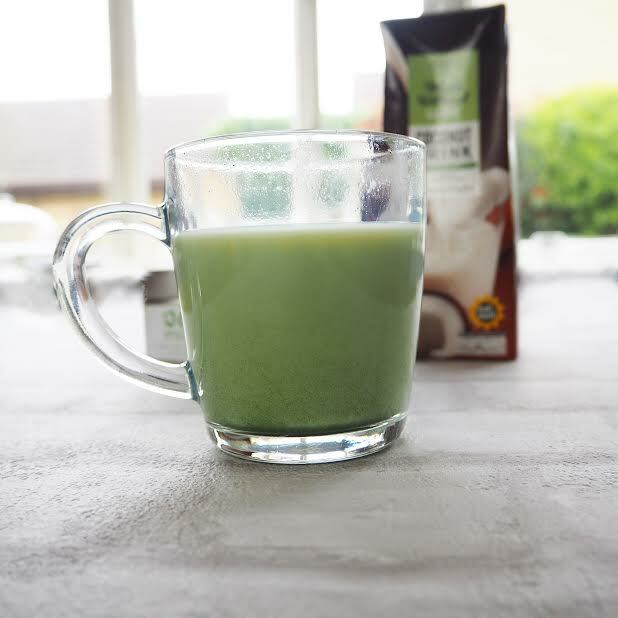 Add your scoop of matcha, ice cubes and water into a shaker; shake it like a polaroid picture; and then decant into your glass. If you're a lover of the Starbucks version of this, you might want to add a little sweetener. 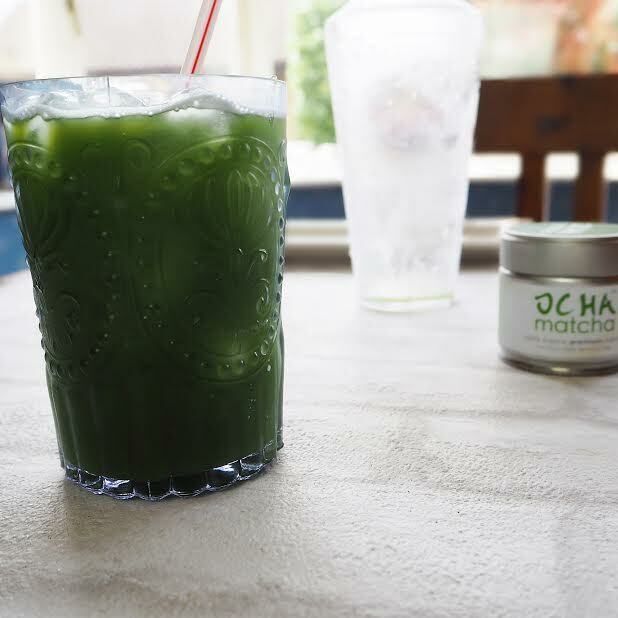 This Ocha Matcha has a really lovely fresh taste to it already so I'm happy to go without, but each blend/personal taste is different! 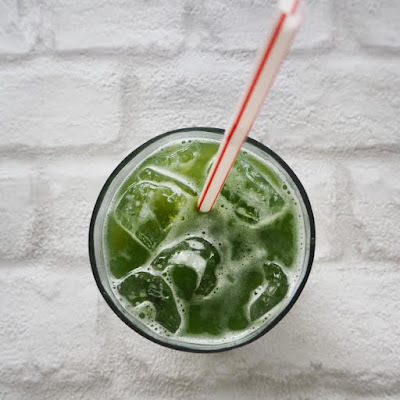 I'm sure there are tonnes of tweaks you can do to these, like iced matcha lattes and smoothie bowls with some matcha thrown in for good measure, I've even seen matcha brownies gracing my Instagram feed lately! 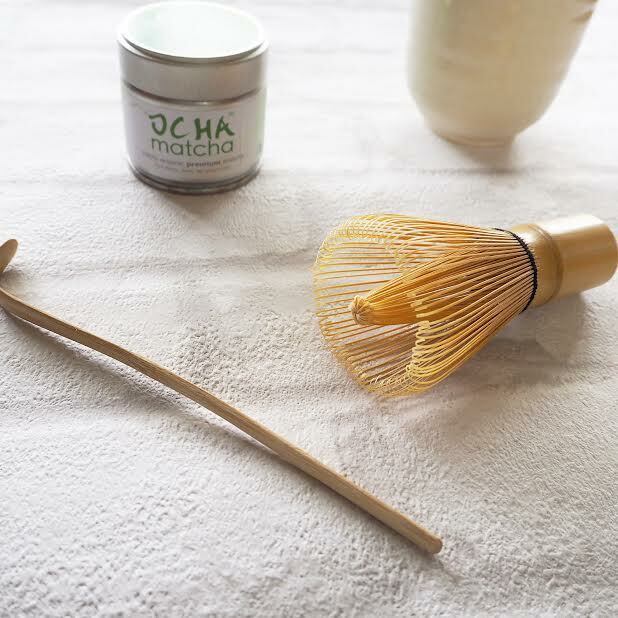 Thank you Ocha Matcha for kindly sending me this cute little traditional matcha kit, which you can find here. As always, I hope you enjoyed this post, I've been meaning to write some more healthy/lifestyle type posts so if there's anything you want to see from me then please do let me know in the comments! A few of my uni friends are absolutely obsessed with Matcha and I'm yet to try it, but it's clear how much I'm missing out! That bright green colour is gorgeous and all of your options look so tasty! I'm especially drawn to the iced tea, I rarely ever drink hot drinks so I have to wait til they're almost lukewarm to manage them anyway hahah 😂 The health benefits are really something, it's great to find something that tastes good and is healthy as well! 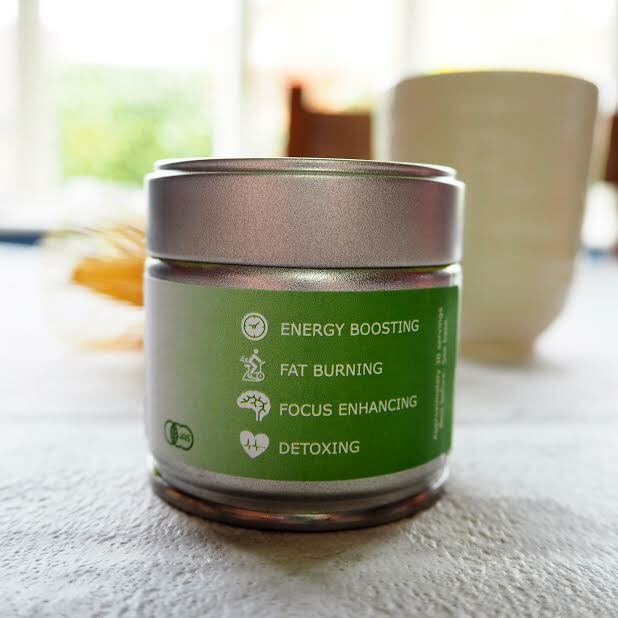 I love matcha, you're so right - it's not got that bitter green tea taste and pair that with the fact that it's even better for you that green tea and you're winning! I've not tried it over ice but that definitely sounds interesting - I looove a matcha latte though especially with coconut milk! Despite being a veggie, anything green really scares me! I love the way this post is written and it looks like you came up with some fab ideas! I really need to put my big girl pants on and give this stuff a go! I'm not really a tea or coffee person but have been intrigued by matcha - I am yet to give this a go, and although it can look pretty, and your suggestions sound great, the green scares me away! Haha :) great post! I'm ashamed to admit it, but I am the unhealthiest person I know. I'm wish I was more adventurous but I'm not convinced I could bring myself to drink something that green. I'm more of a caramel latte girl! I love teas, but I tried the Matcha Latte from Starbucks and I was not a fan! Maybe it was just that I don't like it in a latte form but it's slightly put me off trying it again ha. Which is a shame because I hate when I don't like something. I've even been known to train myself to like things that I don't by continuously eating/drinking it until I do ha. I have this weird thing where I don't drink things that look green it makes me feel sick. It's something I really want to try and become healthier!